It was hard finding a seat. The auditorium was packed with parents, faculty, and mandated students. Loud, exciting chatter filled the air. Many knew what to expect, others were anticipating in their seats. The room goes black. 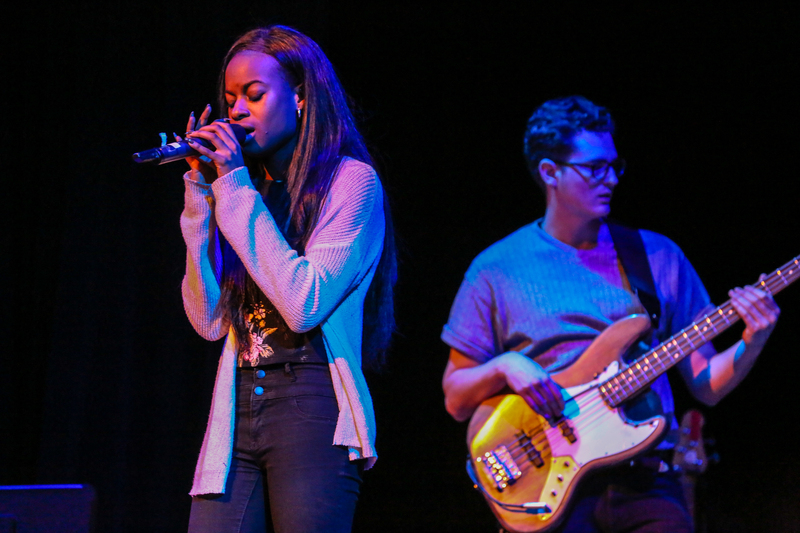 It was Friday evening, March 1st, and it was the Canterbury Music Festival Past and Present II. BOOM ! “ARE YOU GUYS READY?” shouted Nick Cabrera ‘09, starting the excitement to bubble up in the crowd. The stage turns pink and Olivia McCormick ‘19 starts the night with “Ain’t It Fun” by Paramore. The upbeat song got people itching to get out of their seats. 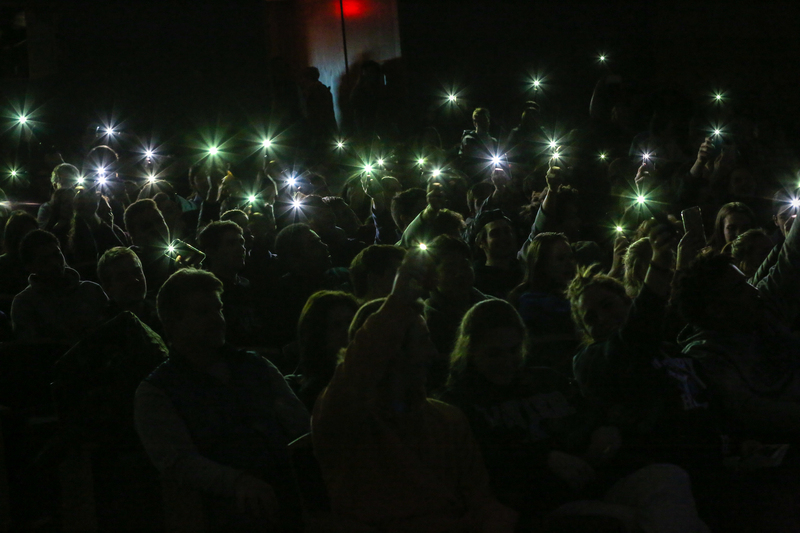 The energy our Canterbury students and bassists Paul Deedon ‘09, Cam Napier ‘17, guitarist Nick Cabrera ‘09, and drummer Will Tully ‘06 were executing from the stage lit up the entire auditorium. This energy carried throughout the entire night as both students and alumni played with passion. Fatima Nda-Isaiah ‘21 took the crowd on a rollercoaster of emotions with songs that included a medley of “If I Ain’t Got You” and “Gravity” by Alicia Keys. 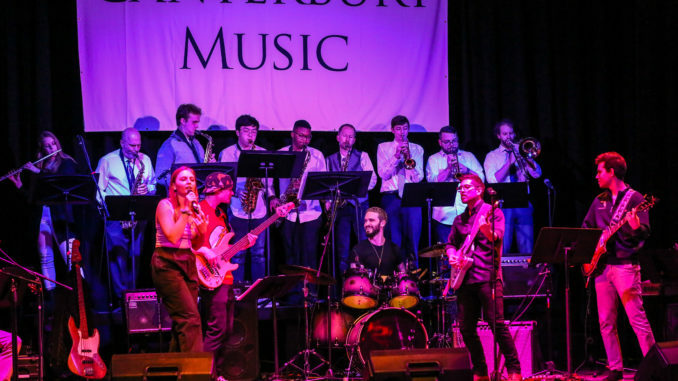 As the students cheered their classmates on stage, they were also cheering for Canterbury musicians both past and present. On stage was Canterbury’s Contemporary Music Band, Jazz-Rock-Pop Ensemble, and Canterbury Chamber strings, as well as returning alumni Paul Deedon ‘09 on bass, Will Tully ‘06 on drums, Cam Napier ‘17 on bass, and Nick Cabrera ‘09 on guitar/vocals, who all agreed that they came back to play not only for the school but for music teacher Dave Overthrow. For many Canterbury musicians, past and present, Mr. Overthrow is the person who got them hooked on their instruments. “I came to Canterbury to play basketball,” said Tully. “Because I needed to fulfill an arts requirement, I landed in the music department. Dave was looking for a drummer, asked me if I wanted to try it and put me as the drummer in every class. “It started out of necessity but it ended up being me discovering one of my biggest passions. We are out here tonight and we do what we do because Dave is the man,” he continued. Today, these musicians are working a lot of different gigs with a lot of different people while trying to produce their own music. As they leave our hilltop once again, they leave current Canterbury musicians with some advice. A big shout out to Mr. Overthrow for all his work in putting this together.